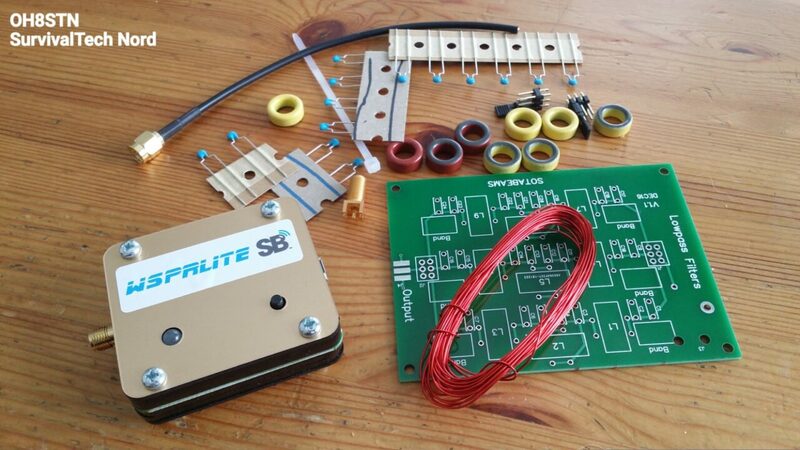 A couple of weeks ago, SOTABeams was kind enough to send over one of their WSPRlite kits. I didnt know it or realise it at the time, but the WSPRLite turned out to be a very nice addition to my antenna testing regiment. The image above was done using the WSPRLite and DXplorer.net website. In order to use the WSPRLite (without a magloop) on 40, 80, 160, … LPFs need to be used. Not a big deal! I suppose there really are not that many WSPR testers around or above top band anyway, so the small form factor of the default WSPRLite, is fine like it is. Anyway, I asked Richard if it would be possible to send over one of their LPF kits for the WSPRLite. This way I could incorporate the WSPRLite into the testing regime on the channel. The answer “It’s on the way”. (Thanks Richard). Well, antenna testing with WSPR is a big part of the channel. Of course I have the WSPR Beacon Android App and Yaesu FT-817ND most often seen on the channel. I also have the Portable WSPR Kit running WSJTX on Ubuntu. Still, there are times when I think it would be nice to have a stand-alone, ultra-portable, system for WSPR testing. A device like the WSPRLite, leaves my FT-817ND and TJ2B free for other communications tasks. The WSPRLite is TX only, so its more a tool augmenting my other tests, than a primary tool. Nevertheless, it is an excellent addition to my antenna testing toolkit. We’re going to be seeing lots of WSPRLite testing and dxplorer.net results on the channel.